Knoxville Knife Sharpening is a family owned and operated business based in Knoxville, Tennessee. We sharpen all types of knives, including: kitchen cutlery, hunting knives, pocket knives, multi-blade knives, and fillet knives. Locally, we serve Knox, Loudon, and Blount Counties. We also serve a national audience with our Mail Order Knife Sharpening service. We use the "Real Sharp" Three Belt Professional Sharpening System to create a razor sharp blade that retains it sharpness for many, many uses. Pricing is affordable too! 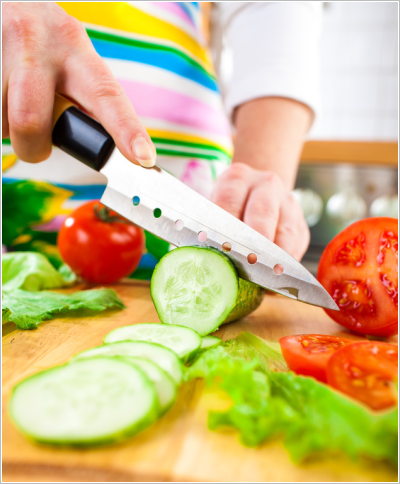 In less time and with less money than you can do it yourself, our Knife Sharpening services will have you back in action with the sharpest knife you'll ever experience. For more information or to schedule an appointment call 865-771-3001.